The Russian news media says the leaders will discuss bilateral issues. Moscow and Washington appear increasingly at odds over nuclear and military matters. Russia’s navy recently launched a campaign that appears aimed at locking Ukraine out of the Sea of Azov, which feeds its valuable eastern port cities. Ukraine’s president has called for NATO to send warships to the Sea of Azov in response, saying Putin wants to take over his country. 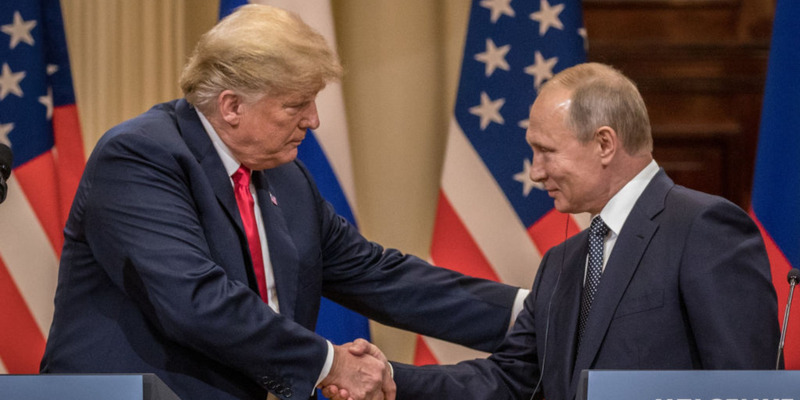 President Donald Trump and Russian President Vladimir Putin will meet one-on-one on the sidelines of this week’s G20 summit, according to the Kremlin. The Russian news media reported that the leaders would discuss bilateral issues. The meeting, said to be scheduled for Saturday at 10 a.m. ET in Buenos Aires, Argentina, would come at a time when Moscow and Washington appear increasingly at odds over nuclear and military matters. Though Trump and Putin have exchanged kind words, the Trump administration has taken a hard line against Russia. The US has long suspected Russia of violating a nuclear-arms ban, which Trump threatened to withdraw from. Over the weekend, Russia’s navy fired on Ukraine’s navy and seized three of its ships before blockading the Sea of Azov, an inland sea shared by the two countries. The apparent blockade has the effect of starving two valuable port cities in Ukraine, and Ukraine’s president has called for NATO warships to enter the sea and has accused Putin of seeking to destabilize and take over his country. Other issues Trump and Putin may discuss include Russia’s attempts to influence US elections, the war in Syria, oil production, and matters of nuclear cooperation or disarmament.